Lisa Colfer has been reporting on child care proceedings since the project, both in Dublin District Court and in the High Court, where it mainly hears secure care cases. She has worked as a researcher for Geoffrey Shannon, Government Rapporteur on Child Protection and with the Children’s Rights Alliance. She holds an MA in Equality Studies from UCD, where her dissertation was on the right of the child to be heard in judicial proceedings. 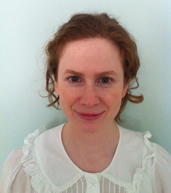 She also holds an honours degree in French and English from UCD. Maria Corbett is currently a doctoral researcher with the School of Law, National University of Ireland, Galway and recipient of a NUIG Hardiman and Irish Research Council scholarship.From 2001 to 2016, Maria led the legal and policy work of the Children’s Rights Alliance which unites over 100 members working together to promote and protect the rights of children and young people in Ireland. She also served as the organisation’s Deputy Chief Executive from 2005 to 2016. 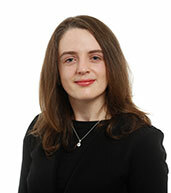 Sarah-Jane Comerford is a practicing barrister in Dublin and on the South Eastern Circuit. Sarah-Jane has completed a Masters in Criminology and Criminal Justice at UCD and has worked in the area of Child Protection, Crime and Civil Law since joining the Law Library. Sarah-Jane has been working with the Child Law Reporting Project since 2015 and has reported on many lengthy cases in Dublin and around the country. 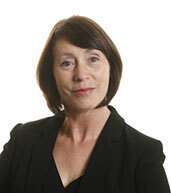 Joyce Marry is a practising barrister in Dublin and the North-Eastern Circuit, working in many areas including family law and child care law. She also completed a Master of Laws in Criminology and Criminal Justice at University College Dublin. She has been reporting on child care cases, including a number of extremely lengthy and complex cases, for the CCLRP since 2015. 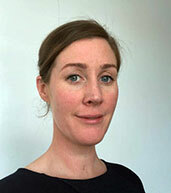 Anne Purcell has extensive experience in social work across mental health, intellectual disability and child protection in Ireland and the UK. In her former Tusla post she acted as advisor on the implementation of Children First: National Guidance for Child Protection and Welfare for numerous national and local organisations and was an accredited child safeguarding tutor and trainer. She worked as a legal volunteer on the Baltimore, USA Innocence project from July-October 2017. She currently works as a barrister in general practice, and has a particular interest in social justice and children’s rights. 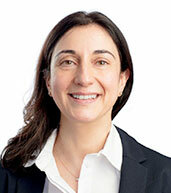 She has worked with the CCLRP since October 2017. 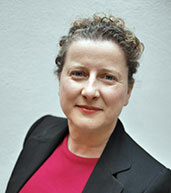 Beatrice Cronin is a qualified barrister (Kings Inns) and journalist (Complutense University, Madrid). With an interest in social justice and children’s rights, she has worked in the non-for-profit sector for over a decade. She is a Director of the Board of Management of the Irish Foster Care Association and the Citizens Information Services, Dublin City Centre. She has volunteered in several non-for-profit organisations including Free Legal Advice Centres (FLAC). She joined the CCLRP reporting team in 2018.